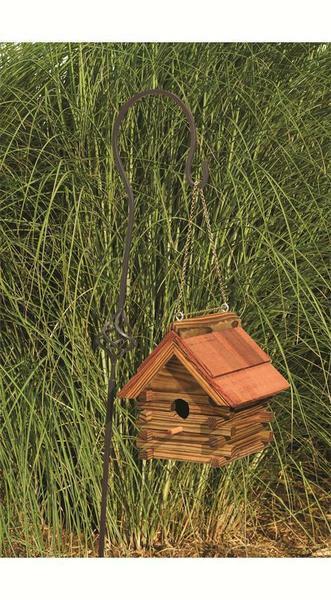 Give your garden's nesting birds a sanctuary to call their own with this beautifully handcrafted log cabin bird house! Full of frontier appeal, this rustic piece promises season after season of enjoyment for you and your birds both. The beautiful details woven into the walls make it a wonderful addition to any traditional garden decor scheme. If you've any questions about this piece, please don't hesitate to give us a call or an email - we would love to hear from you!